West Iceland is remote and stunningly beautiful. With its endless lakes, towering mountains and dramatic lava fields, it’s a wonderful region to explore--ideally on horseback. The remoteness makes it a perfect place to see the northern lights. The skies are clear and there’s little light pollution to get in the way. 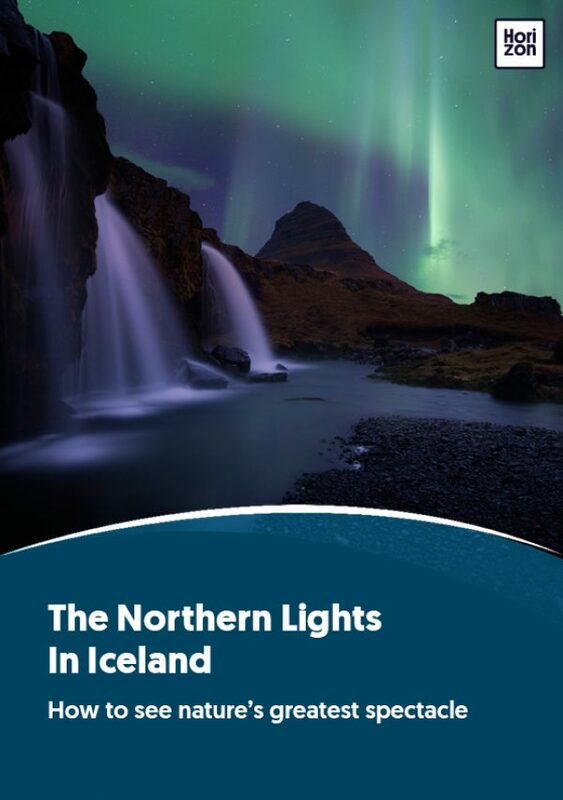 The northern lights can be best seen in west Iceland between September and April. Snæfellsnes peninsula. Around Snorrastaðir farm, anyone interested in geology will enjoy the great views of Eldborg rock formation. At night, a series of small rivers and lakes reflect the many bright colours of the northern lights. Anyone lucky enough to see the display here will have memories to treasure forever. The peninsula is a 90km piece of land that protrudes from the island. It is around a 2-hour drive north from Reykjavik. Glymur Waterfall is Iceland’s largest waterfall. It’s at the end of the Hvaljörður peninsula, and it creates spectacular sprays of water which rise into the sky and make the aurora seem even brighter and more impressive. It’s about an hour’s drive from Reykjavik, at the heart of Hvaljörður fjord. West Iceland offers some of the most wonderful yet under-rated natural sights in the country, including endless snow-covered lava fields, the Breiðdalur volcanic area, and the Hengifoss waterfall. And the complete absence of light pollution makes it a great place to see the northern lights. Háafell Farm is an active goat farm where you can visit the goats and buy local products. Snorrastofa Museum is home to Iceland's oldest works of literature. Hengifoss Waterfall is Iceland’s second highest waterfall, and one of the most remote. There is a hiking path that leads from the top of the waterfall to the bottom. There is also an easily accessible shallow cave behind the falls that echoes with the thundering water. Breiðdalur volcanic area is one of the most picturesque areas in Iceland. The landscape is littered with inactive volcanoes covered in grass, moss, and rivers. From the main, and tallest, volcano, Mt. Bæjartindur, views can be had across the landscape.